Below are some packing hints if you decide to tackle the packing yourself. Just remember, if you get overwhelmed Guindon Moving is happy to send our Professionals to assist you. Guindon Moving & Storage recommends using dishpacks for china and glassware. Place plenty of cushioning material in the bottom of the carton and between layers. Plates should be wrapped individually using several sheets of paper. Start from the corner, wrapping diagonally, continuously tucking in overlapping edges. Bundle four to six plates in a double layer of newspaper. Place bundles in a row, standing them on edge. Surround each bundle with crushed paper, being careful to leave no unfilled spaces. After removing the light bulb, wrap the base, harp and bulb separately, in newsprint, and place together in a box, filing spaces with crushed paper. Carefully wrap each shade in three or four sheets of fresh tissue paper, a pillow case or large lightweight towel. Large, Tiffany-style lamp shades and chandeliers should be packed in a crate. Your Guindon Moving & Storage representative can arrange to have a custom crate built. It is best to consult with your Guindon Moving & Storage representative about obtaining custom-made cartons or crates for these items. Note: Paper should never touch the surface of oil paintings. Guindon Moving & Storage recommends taking any furs or high-value items with you, rather than packing them. Photos are best protected in albums; any framed photographs should be wrapped and bundled similar to plates. Loose photos should be secured and protected from damage. 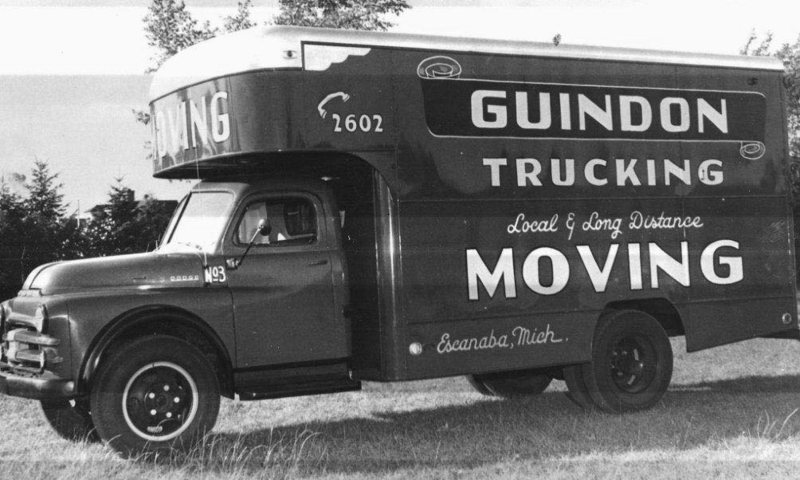 Guindon Moving & Storage suggests packing photographs in separate boxes for shipping. Large appliances must be serviced and dry before shipping. Be sure to discuss this with your Guindon Moving & Storage’ representative. We suggest you use or give away food. Guindon Moving & Storage does not ship anything that is perishable.